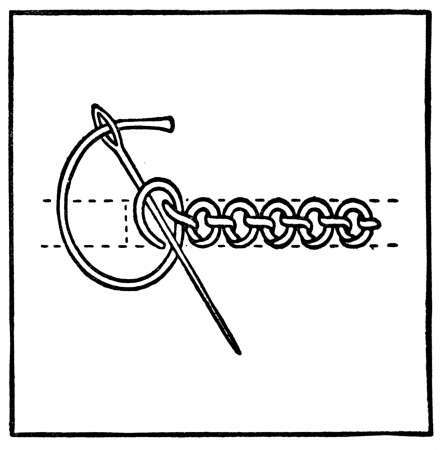 A chain stitch is a decorative stitch that can be executed by hand or by sewing machine. This technique is nothing more than a series of looped stitches that form a chain pattern. 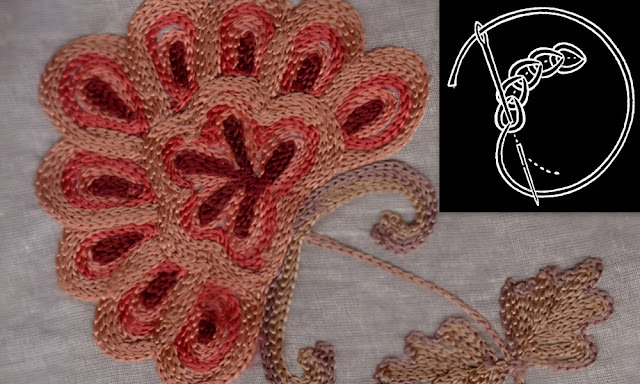 You will see chain stitching most often in embroidery but is also used as a decorative topstitch accent on garments. The chain stitch can be used to sew seams or secure two pieces of fabric together in a design. However, chain stitches are not very secure. As a result, a seam will come apart fairly quickly due to seam stress. Do you think you might try your hand at the chain stitch? If you have mastered the basic chain stitch, will you try out any of its variants?